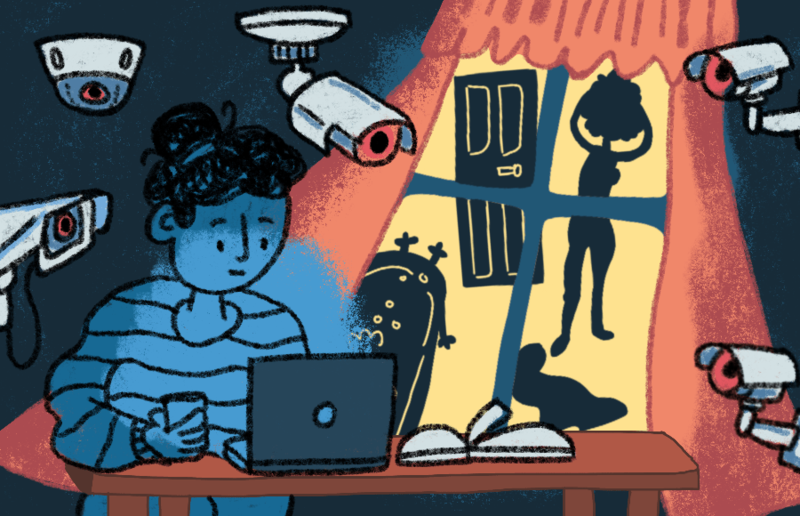 The Berkeley Police Department recently announced a new a program to register privately-owned security cameras, so owners can easily be contacted if a crime might be recorded by their equipment. This program is similar to others already in place at police departments across the country. Over time, it is likely that cameras will get cheaper and more homes and businesses will have access to them. It is estimated that, in a single year, 106 million new security cameras are sold. All this information can make it easier for police to solve crimes. But it can also lead to an invasion of privacy, a possible violation of Constitutional rights and, in the wrong hands, potential danger. Police departments, like other organizations, are not perfect. People make mistakes and unexpected situations arise that were not anticipated when the rules governing officer behavior were set up. And, whether they mean to or not, some government employees commit crimes. In 2006, a Berkeley police sergeant was sentenced to a year in jail for stealing and using heroin and methamphetamine. Another Berkeley police officer resigned after being accused of stealing money from suspects. In 2007, another Berkeley public safety employee, a firefighter, was convicted of child molestation. In many cases, power has led to corruption. And the Founding Fathers understood the problems that can arise with police forces — the Fourth Amendment to the United States Constitution, ratified in 1791, restricts the ability of police to seize and search people and their property. But with increasingly advanced security technologies available, the cameras that BPD would have access to with its new registration program could easily lead to a violation of this important amendment. I have an Electrical Engineering degree from Cal and I managed one of the more advanced commercial computer graphics engineering groups, so I have a lot of experience with video. From this experience, I have found that today’s security cameras have the ability to record information that would not normally be visible to the naked eye. With the right kind of camera and software, it is possible to get very detailed images of what is going on behind a seemingly curtained window. If there exists even a half-inch vertical gap between the curtains and someone walks past the window, it is possible to combine pieces of multiple video frames to create a panorama that shows a full photo of that person, as if their curtains were wide open. Cameras can also record 24/7 for years. All it takes is one moment during those years for a security camera to capture a high-resolution image of something it shouldn’t. I think most people do not expect to be under this kind of surveillance inside their home. Going forward, police should need a warrant to see any video that might contain images of the inside of a private home. A warrant means that two people from two different organizations must agree that there is a reasonable need to see the video. So one police officer won’t be tempted to, or able to, inappropriately view video. The Founding Fathers wrote the Fourth Amendment for a good reason. And that reason is still good today. Russ Tilleman is a candidate for Berkeley City Council District 8 and an organizer of the Campaign for Police Accountability.